NSW’s first ASEAN strategy sets out practical action for the NSW Government that will lift our economic and cultural relationship with markets in the ASEAN region to the next level. 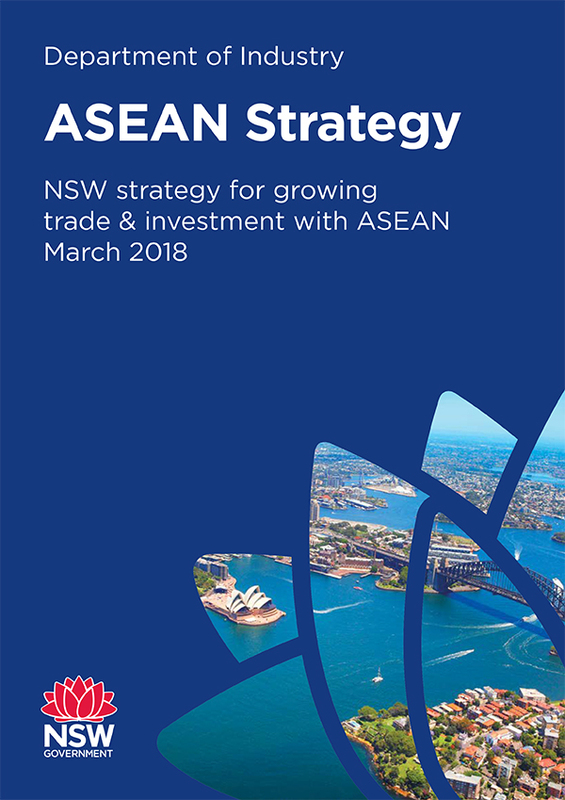 This strategy identifies the actions the NSW Government will take in support of achieving a 10% annual growth in our trade and investment relationship with ASEAN, every year over the next 5 years. This strategy will be updated regularly in response to new market intelligence and opportunities that will benefit both NSW and ASEAN member countries. ASEAN’s economic expansion has outpaced the rest of the world and the region is set to become the equivalent of the world’s fourth- largest economy by 2030. ASEAN is already our second-largest trading partner, with $19.1 billion worth of goods moving between NSW and ASEAN member countries each year. And the potential for growth is significant. The NSW Government will work closely with the private sector and with other governments to grow our engagement with ASEAN. We will focus on Singapore, Malaysia and Indonesia, where we already have strong economic partnerships, and access other ASEAN nations through these markets as gateways. ASEAN is becoming more urbanised, wealthy and digitised. The growth and transformation of ASEAN is being driven by expanding cities, a growing consumer class, digital disruption and international connectivity. In response,we will direct our efforts into six broad areas that support ASEAN’s growth and change. In each of these six focus areas, there is the opportunity for us to build on our existing partnership with the region so as to further enhance trade and investment flows to the benefit of both NSW and ASEAN member countries. Grow and nurture partnerships on infrastructure and smart cities, including sharing what we have learned from our more than 20 years in public-private partnerships. Strengthen innovation and technology linkages between NSW and ASEAN markets as leaders in fintech, medtech and agtech. Increase the flow of students between NSW and ASEAN member countries and build alumni relationships in the region. Promote NSW as a leading producer of high quality and diverse agricultural products. Work with NSW businesses to promote capabilities in mining equipment, technology and services (METS). Grow tourism and deepen cultural awareness and linkages.